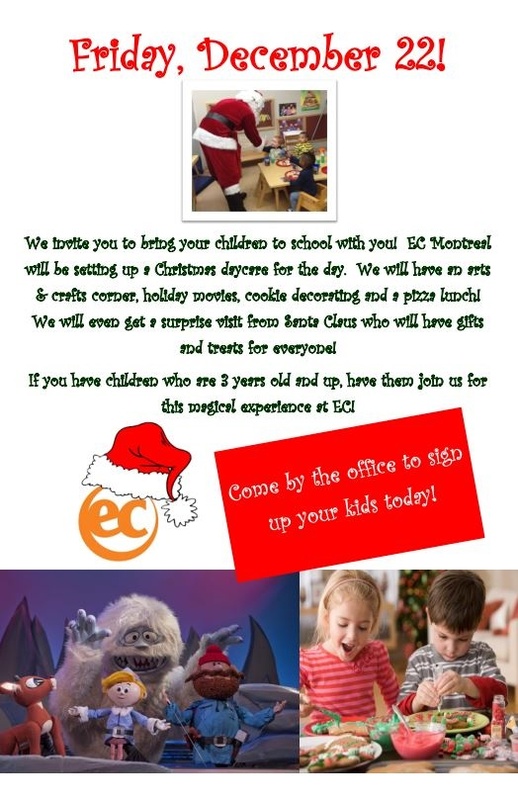 Bring Your Kids to School at EC Montreal! On Friday, December 22, EC Montreal will offer a Christmas daycare for the children of all staff and students. As we approach Christmas, many schools and day care facilities are closed for the holidays. To give these EC parents a hand, we will invite all the children to come spend the day with us at the school. EC Montreal has many student “moms” that have children in private schools. They will be so happy to know that they can count on EC Montreal on the 22nd to help care for their children. We will set up a classroom as a day care. There will be an arts & crafts corner as well as a cookie decorating station. We will play a holiday movie and we will read a Christmas story to them. EC Montreal will serve a pizza lunch and there will be a surprise visit from Santa Claus. He will bring sweets and treats for all the kids. 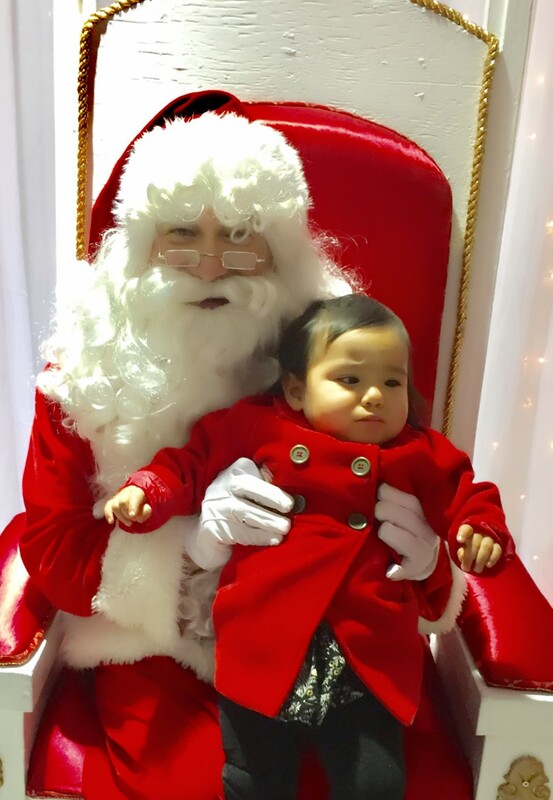 Everyone can get their picture taken with Santa! This invitation is offered to all EC Montreal staff and students who have children ages 3 and up. What a magical and fun day we look forward to at EC Montreal! Join us to learn English and French in Montreal!